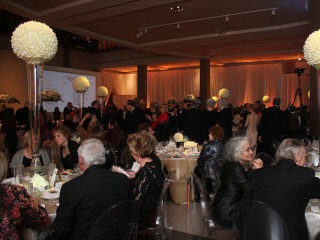 The Blanton Museum of Art is hosting its biennial black-tie gala and after-party to raise funds in support of the museum's outstanding exhibitions and educational programs. The "Off the Wall" Gala will celebrate the important role the Blanton plays in Central Texas and at The University of Texas at Austin as well as honor UT President Bill Powers. This wonderful event will be followed by the splendid after-party, "Art on the Edge." Tickets are ready to purchased by Blanton members and a limited number will be available for non-members.